If you’re in the market for a new home, you should shop for your builder as carefully as you shop for your home. Whether you are buying a condo, a townhouse, a house in a subdivision, or a custom built home, you want to know that you are buying a good quality home from a reputable builder. Once you have thought about the type of house you want, where should you look for a builder? First, check your local Google listings to obtain a list of builders who construct homes in your area. Look in the real estate section of you local newspaper for builders and projects. Looking through the ads and reading the articles can help you to learn which builders are active in your area, the types of homes they are building, and the prices you can expect to pay. Make a list of builders who build the type of home you’re looking for in your price range. Local real estate agents may also be able to help you in your search. Ask friends and relatives for recommendations. Ask about builders they have dealt with directly, or ask them for names of acquaintances who have recently had a good experience with a builder. Ask builders on your list for the addresses of their recently built homes and subdivisions. Builders may even be able to provide names of some homeowners who would be willing to talk with you. Drive by on a Saturday morning when homeowners may be outside doing chores or errands. Introduce yourself and say you are considering buying a home from the builder who built their home. Talk to several owners, and try to get a random sample of opinions. The more people you talk with, the more accurate an impression of a builder you are likely to get. At the very least, drive by and see if the homes are visually appealing. Some questions you can ask people include: Are you happy with your home? If you had any problems, were they repaired promptly and adequately? Would you buy another home from this builder? Usually, people tell you if they are pleased with their homes, and if they are not, they’ll probably want to tell you why. Look at new homes whenever you can. Home shows and open houses sponsored by builders are good opportunities to look at homes. Model homes and houses displayed in home shows are often furnished to give you ideas for using the space. You may also ask a builder to see his unfurnished homes. When examining a home, look at the quality of the construction features. Inspect the quality of the cabinetry, carpeting, trim work, and paint. Look out for shortcuts taken. 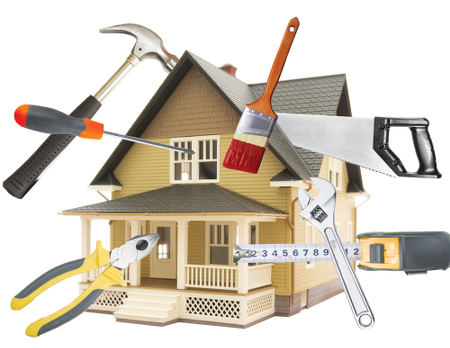 A quality builder and painter will caulk every place where wood meets wood or sheetrock. Look inside cabinets to be sure that everything is caulked. Also, run your hand over the surfaces of wood to be sure that the wood was properly sanded before painting. Ask the builder or the builder’s representative a lot of questions. Get as many specifics as possible. If you receive the answers verbally rather than in writing, take notes. Never hesitate to ask a question. What seems like an irrelevant question might yield a meaningful response. Always keep valuing mind when shopping. Just because a home is less expensive than another does not mean it is better valued. Likewise, a more expensive home does not automatically assure higher quality. Another important aspect of value is design quality. When you look at a home, determine whether will it suit your lifestyle. Is there enough living space? Are there enough bedrooms and bathrooms? What about storage space? Will you have room to accommodate special interests or hobbies–for example, a large kitchen if you enjoy cooking or a room for a home office or exercise room? Think about the amount of upkeep required both indoors and out. Consider also the location of the property. Is it convenient to transportation, your job, shopping, schools or other places of interest to you? Tarion”, new home warranty corporation, has a strict warranty law for items that builders must do for the homeowner. A builder must enroll every new home. See ‘new home warranty’ on this website for more information. Although reading legal documents is tedious, read the warranty to understand what protection you will have. Don’t wait to read it until after you move in and a problem arises. If you have any questions about the coverage, ask the builder. Also, find out from each builder what kind of service you can expect after the sale. Typically, a builder makes two service calls during the first year after you move in to repair nonemergency problems covered by your warranty. The first call is usually 30 to 120 days after the move-in, and the second is around the eleventh month–right before any one-year warranties on workmanship and materials expire. For emergencies, the builder should be able to send someone to your home right away. Whom do you contact for customer service after the sale? Should requests be in writing? Does the builder use state-of-the-art energy features? Equipment, insulation, design, and landscaping can all affect a home’s energy efficiency. A new home is one of the biggest and most important purchases you will make in your lifetime. By doing your homework, you will be able to shop for a home with a sense of confidence and the knowledge that will help you make the right decision. If you have additional questions about selecting a builder, the home builders association in your area can help you find the answers. I really like that you dedicate such a large part of your article towards asking questions. After all, when you’re looking to build a custom home, there are going to be a lot of things you need to check up on with the home builder. You need to know what kinds of questions you need to ask in order to ensure that your home is coming together nicely.